If your favorites contacts list is not fast enough to get you to the call you want to make when you want to make it, you may need a shortcut. Sure, you could use Launch Center Pro, but there is something even simpler (and cheaper). Apple’s native Phone app includes a Favorites list where you can add people that you call the most. Your top ten, if you will. You can specify a person’s phone number and select whether you want to make a voice call, FaceTime Audio, or traditional FaceTime call. However, you can’t add their Facebook, Twitter, Skype, or WhatsApp profile. For that, you’ll need to go to a different app, or use a shortcut app like Fast Dial. 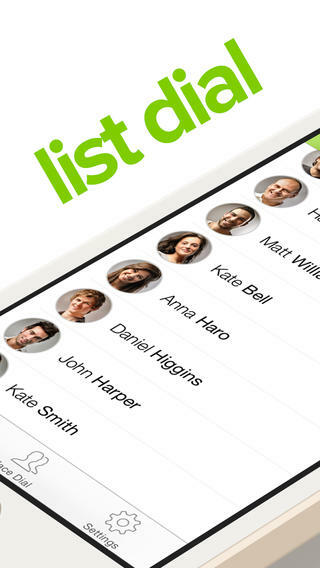 Users add their favorites to the contact list so that finding friends and family is easy. Then all you have to do is swipe your contact’s name to the left to trigger a connection to the Phone, Mail, or Message app on your iPhone, or swipe to the right to trigger a connection to WhatsApp, Skype, Facebook, or Twitter. When you trigger Twitter, you can choose to open the service in Twitter’s official app, Tweetbot, or Twitterific. You can also add the option to tweet mentions or send a direct message to the contact on your list. In Skype, you can add a country code and area code when dialing numbers. Face Dial will let you call, message, or email a person simply by tapping their picture. You can call with one tap, send an SMS with two taps, and email with three. You can reconfigure each action with a different number of taps. Tap four times to reset it to the default number. If your contact has multiple phone numbers or email addresses, you can set the preferred information as the default action. That way, if you tap to Face Dial your mom, you will always call her cell phone first, not her work number. Fast Dial is available for $0.99. Download it in the App Store today. Do you use a shortcut app to access your contacts? Which shortcut app is your favorite?